Showing 6 articles from June 11, 2018. 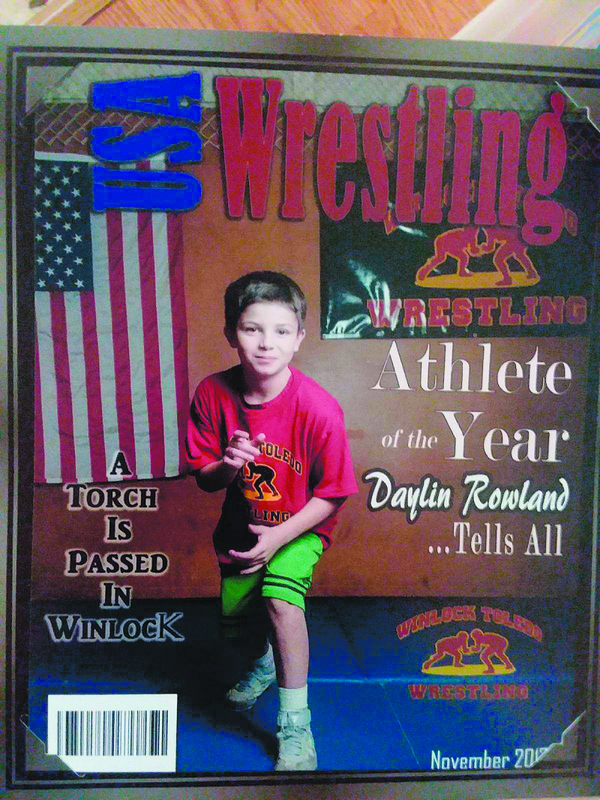 The Egg Day Celebration begins at the Winlock Community Building located at 607 NW Kerron Avenue, on Friday, June 15 at 7:00 p.m.
Winlock-Toledo Youth Wrestling is sponsoring the 5-mile run on Egg Day with proceeds going to the Youth Wrestling Program. 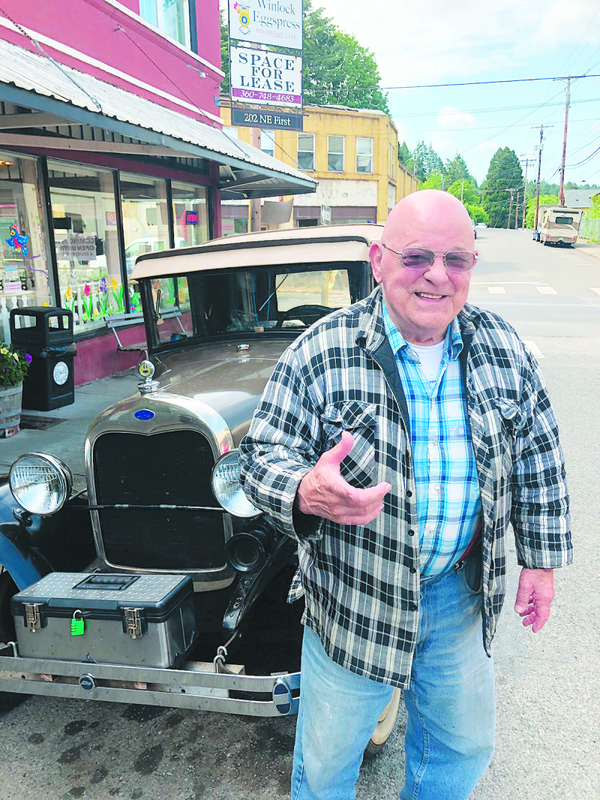 Duaine Miller in front of his Model A is one of the Good Ol\' Eggs. The Good Ol\' Eggs are those that have lived in Winlock all or most of their lives over the age of 80. Community Center: MOU? Or Not? 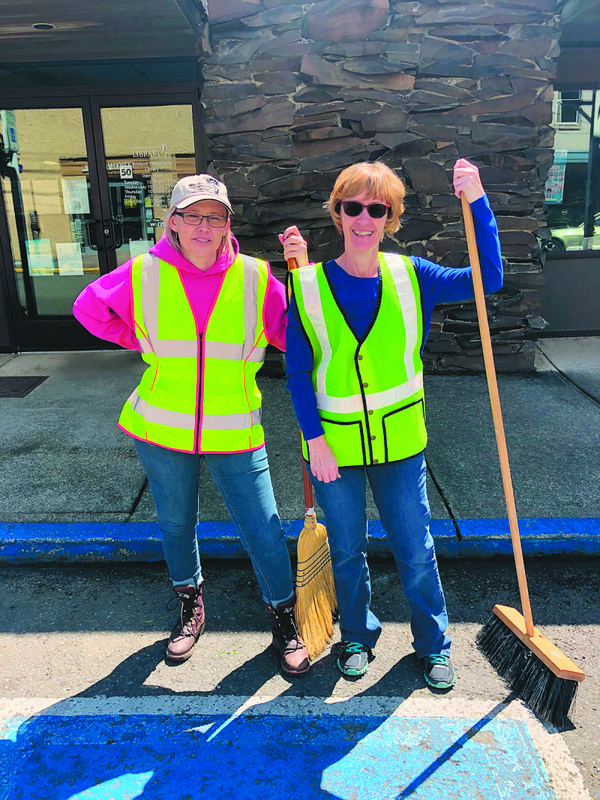 Alliance for Better Community has been eager to get going with plans at the Raymond Theatre Community Center, but things didn't go as planned when sparks flew at the Raymond City Council Meeting on May 21. At the prior City Council Meeting it was agreed upon that the city would allow ABC a trial run at the Community Center free of charge to see what they could do. However, a MOU [Moratorium of Understanding] needed to be drafted and approved by the City Council before any action could take place. A drafted MOU missed a few steps along the way when City Attorney Will Penoyar nor the council were able to look it over before Mayor Nordin signed it. After public comment was allowed and Kyle Hubly, who is associated with ABC, expressed his irritation with the ongoing process. Councilor Pam Nogueira-Maneman chimed into the debate when she asked Mayor Nordin what exactly happened. Wednesday, June 6 at approximately 8:25 a.m. the Raymond Fire Department and Pacific County Fire District 3 were dispatched to a report of an injured logger. The accident happened 8.5 miles up Wilson Creek north of Old Willapa when a tree hit a timber cutter roughly 500ft down a canyon. Once on scene Raymond Fire and PCFD 3 learned the victim had serious injuries to his head, chest, and spine. Airlift Northwest was called to the scene to transport the patient to Harborview due to the severity of his injuries and the distance and time to the nearest hospital. The logger has been identified as 45-year-old Seqouyah Lorton. He has family in both Pacific and Grays Harbor counties. His sister Kelly Lorton has informed the Herald that he is still at Harborview and they're holding hope he will progressively improve with time. At the the time of the incident Lorton was paralyzed from the neck down. A GoFundMe page has been created to help Lorton's fiance and children at this difficult time at https://www.gofundme.com/help-sequoyah-and-family. A separate fundraiser has been set for July 28 at Oakridge Golf Course in Elma where a tournament and silent auction will take place. The Pacific County Fair has been awarded two separate grants that will enable some much need upgrades and repairs to the grounds. Bill Monohon took over as the manager of the Pacific County Fair in April and quickly learned that grants were open with only a short time to apply. "When I first started in April after Dosti, I started going through our mail here," he said. "I stumbled upon a piece of mail that had information for some grant money. So I fired off an email to see if there was still grants and learned there was and I barely had a few weeks to apply." Monohon openly admitted he had no experience writing grants, but figured it couldn't hurt to try. Mentioning though, that he had previous management experience in a large gas company and drew upon that experience to get things moving on the grants.